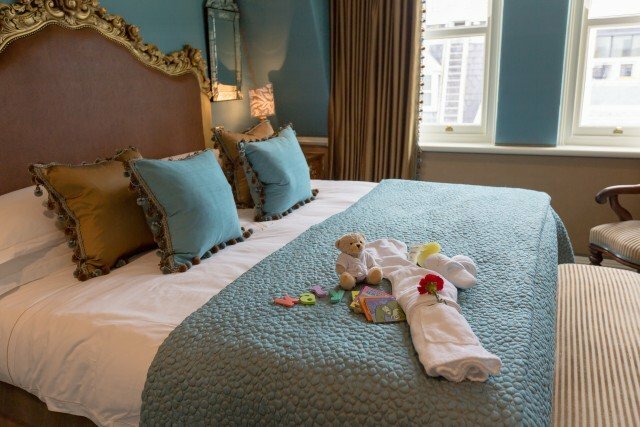 Recently, two luxurious Junior Suites at the five-star Milestone Hotel were unveiled, the Buckingham Suite and Princess suite. 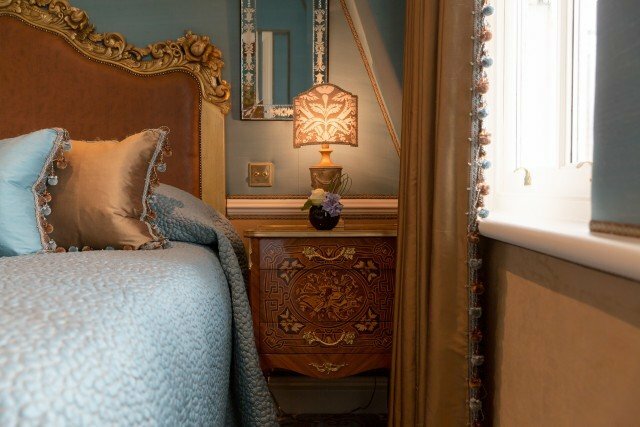 A high-standard of design detail evident in the custom furnishings, new hand-picked antiques, and original artwork. 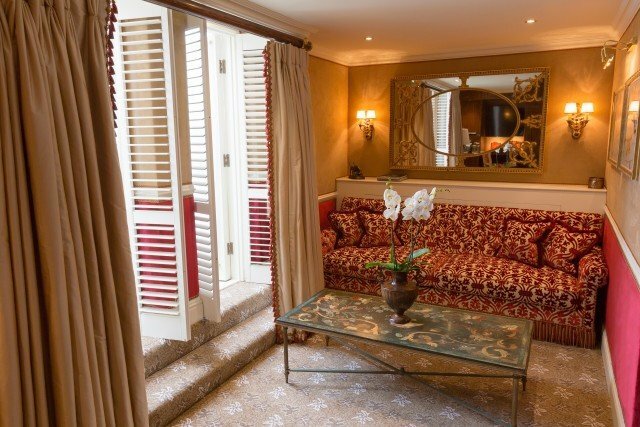 Each room in the entire hotel boasts it’s own unique design, but it was Toni Tollman, daughter of owner Beatrice, that spearheaded the stunning refurbishment of the Junior Suites. 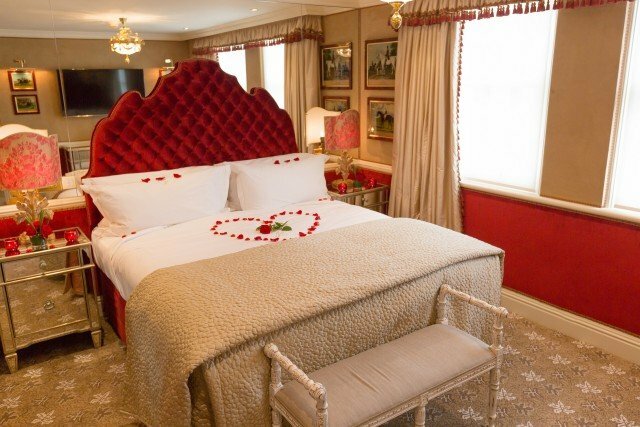 Infused with rich shades of red, gold and cream, the redesigned “Princess Suite” includes a lounge area and private balcony that overlooks the quiet side streets of Kensington. 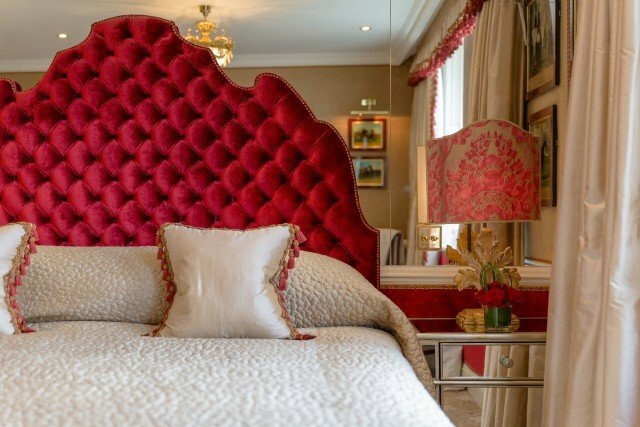 The fixtures, fittings, and furnishings have been individually selected, such as the bed’s custom-designed headboard upholstered in Kai cranberry velvet and the handmade lampshades from Greco Angela Rosa in Venice. The walls are adorned with a collection of Miró lithographs and a striking mirror acquired from an auction house. 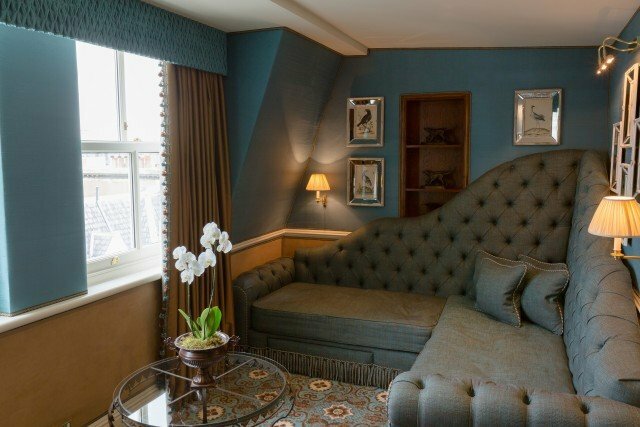 The lounge is complete with a custom-designed Northcroft velvet sofa bed and antique chairs upholstered in a delicious array of Pierre Frey fabrics. 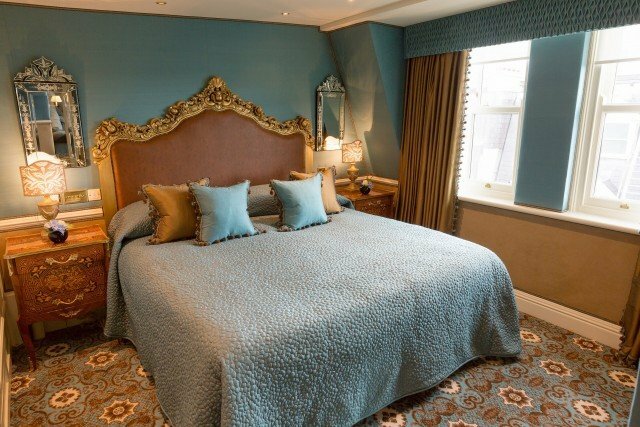 The Buckingham Suite is enveloped in a refined mixture of gold, brown, blue and white, with silk upholstered walls. 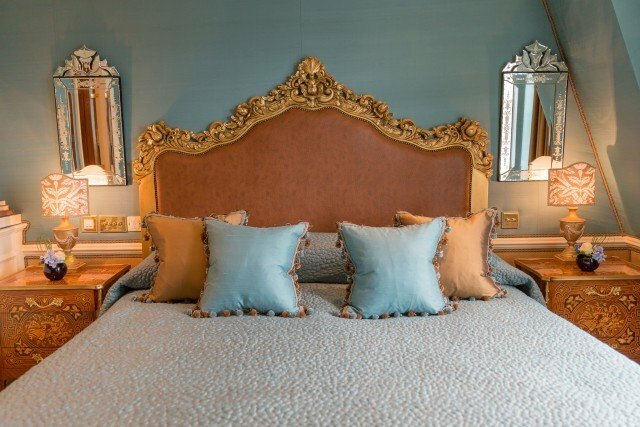 The “crown jewel” is the tailor-made king-sized bed complete with a brown leather headboard and antique gilt finish, Other striking additions are a pair of antique chairs upholstered in Brunschwig & Fils fabric and a custom-designed high-backed corner sofa bed overlooking Kensington rooftops. 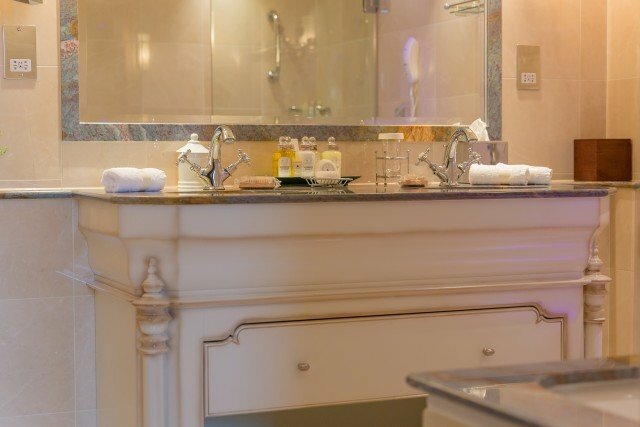 For this seasoned traveler, the design of a hotel has always been as important as the amenities, and a stay at this fabulously appointed hotel is worth its weight in gold (or pounds). 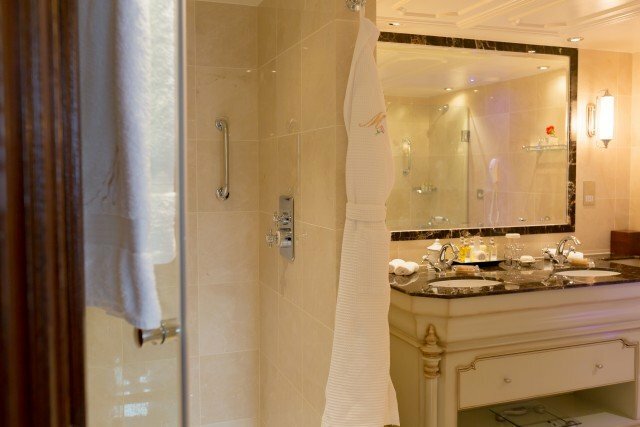 For more information about Milestone Hotel and The Red Carnation group of hotels and luxury properties, simply follow the link here. All photos courtesy of Geoffrey Weill PR. 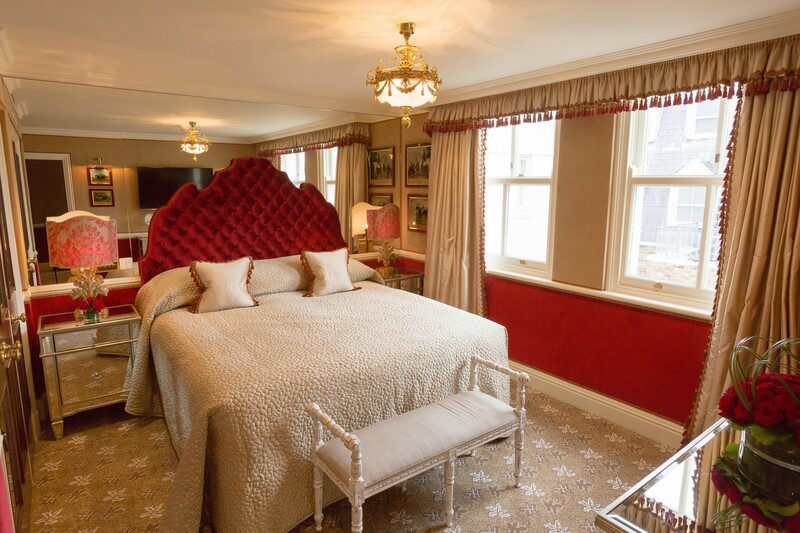 Are you a designer or architect (interior or garden) traveler, artist of have entertaining tips? Would you like your work, project or exhibit published on The Ace of Space? Please provide High-Resolution images (or similar quality) and a text description, and send them to Vicki@theaceofspaceblog.com. We will review the material and your submission will be evaluated according to our Editorial Standards. Please note that not all submissions will be published; however, we urge you to submit again in the future. We do not provide monetary compensation for any articles or photo images, however we will provide photo credits, website links & copyright details if requested.